ScreenCoat Painting & Flooring LLC provides complete flooring services, including: design, installation, repair, and refinishing. Whether you need to repair a damaged floor or refinish a floor, our experienced flooring contractors will make your floor look brand new. No matter what kind of look you're going for, we can make it happen. 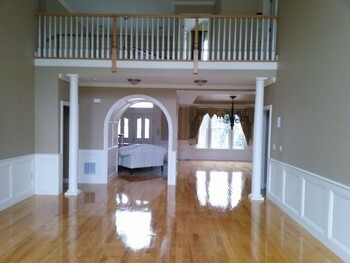 ScreenCoat Painting & Flooring LLC has been in the flooring business for 18 years. ScreenCoat Painting & Flooring LLC has indoor flooring options for every room in your house, including bathroom, bedroom, dining room, living room, entry way, family room, office, play room, kitchen, bar, and sunroom. Our indoor flooring options include: hardwood or engineered wood floors, laminate, natural stone, ceramic and porcelain tile, vinyl tile and sheet, and radiant heat floors. ScreenCoat Painting & Flooring LLC also provides outdoor flooring solutions for areas like your driveway, walkway, front porch, pool area, patio, or deck. We've been in the flooring business since 2001. ScreenCoat Painting & Flooring LLC uses water-based products that are safe for the environment, your family, and your pets.